As much as the startup world has a reputation for being nimble, there’s also a reputation for the interesting workspaces that these startups inhabit. Bricks-and-beams and ping pong tables are the oft-recounted feature of startup offices, but what the community might not see are the ideas, careful thinking, and planning that goes into designing those spaces. To shed some light on the work and creativity that goes into designing startups’ offices, BetaKit spoke with architecture firm Linebox Studio, which is building a reputation for designing office spaces for tech companies like Klipfolio, Shopify, and Element AI. Founded by Andrew Reeves in 2008, Linebox Studio is an architectural studio with offices in Toronto, Montreal, and Ottawa. 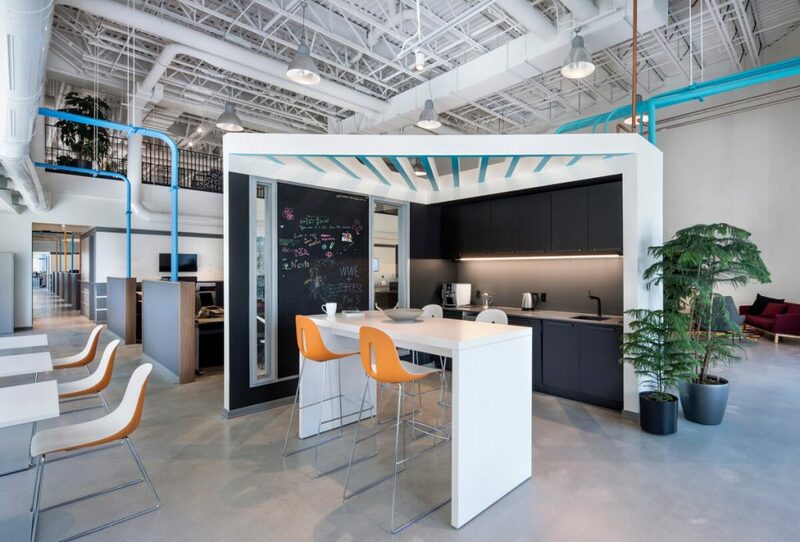 While Linebox initially began as an architecture firm designing residential houses and restaurants, the company moved into the high-tech sector after Shopify CEO Tobi Lütke asked Reeves to design Shopify’s headquarters in Ottawa. 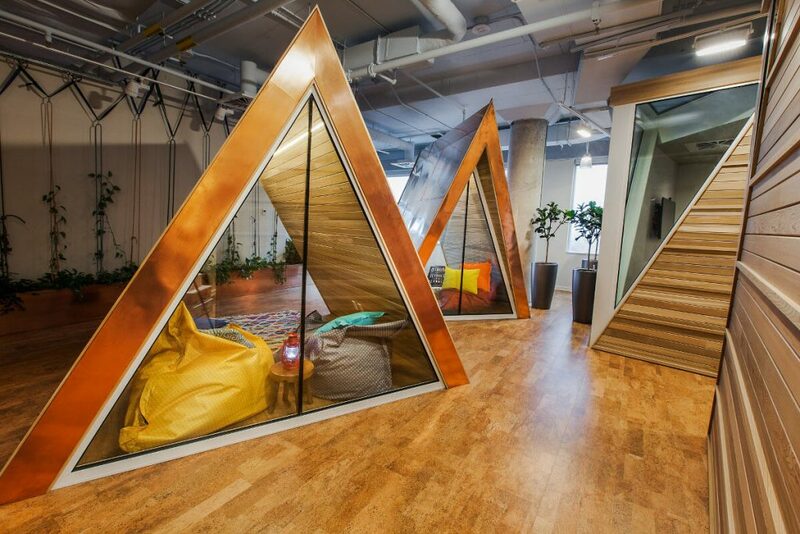 Since initially designing Shopify’s headquarters, Linebox has also designed spaces with themed floors, rooms, and lighting for Montreal-based Element AI, which raised a $137.5 million Series A and announced plans to hire 100 people at its new Toronto office, and Ottawa-based Klipfolio, which raised a $12 million Series B in January 2017. When asked about how Linebox approaches design thinking when creating spaces for Canadian tech companies, Reeves said he considers the character of the place, as well as the character of the company and its workers. The goal is to understand how the workspace can reflect the various preferences, work styles, and relationships that a company wants to encourage. For example, when Linebox designed Shopify’s headquarters, the firm had to consider how to make the workplace comfortable and conducive for the work habits of both teams that are doing more collaborative work, and individuals that may need more private workspace. “It’s not about our architectural statement that you have to work or live in. We’re more interested in finding out who these characters are and what this company is and where they want to go and the kind of people they want to attract and their offices,” said Reeves. “I look at offices as homes. They’re not places to work…so what’s at the forefront is truly understanding each company. “Even though we’ve dealt with now a bunch of different high tech companies, they’re all different characters and they have their own very clear identity both corporally, but also culturally and then layering that on with just understanding space and how people move through space and the quality of their day is important,” he added. Reeves said that along with thinking about how people will interact with space in an office, it’s also important to understand a company’s business mindset in order to inspire innovation, new ideas, and collaboration. According to Reeves, office spaces are designed best when Linebox can sit down with a company’s team members and hear the story of how a startup began. Reeves noted that every company has a vision and intimate view of the space they want to create for their team members, which is why Linebox focuses on understanding their journey, the culture they want to breed inside their office space, as well as how a company wants its team to move around the space. “Space has to be successful on all levels. It has to have character. It has to have purpose,” said Reeves. He also stressed that he usually avoids showing magazines or images of the latest fads when working with a tech company because he wants to understand the company’s needs and preferences. When asked whether the design of a workspace can impact the productivity of tech workers, Reeves explained how factors like the quality of light, air, sound, plants, and open space may enhance work performance. While Linebox has designed several offices for tech companies in Ottawa, Montreal, and Toronto to date, the architecture firm plans to grow its presence in the tech ecosystem by networking with other founders to design more offices.